What does Dr Bike do? 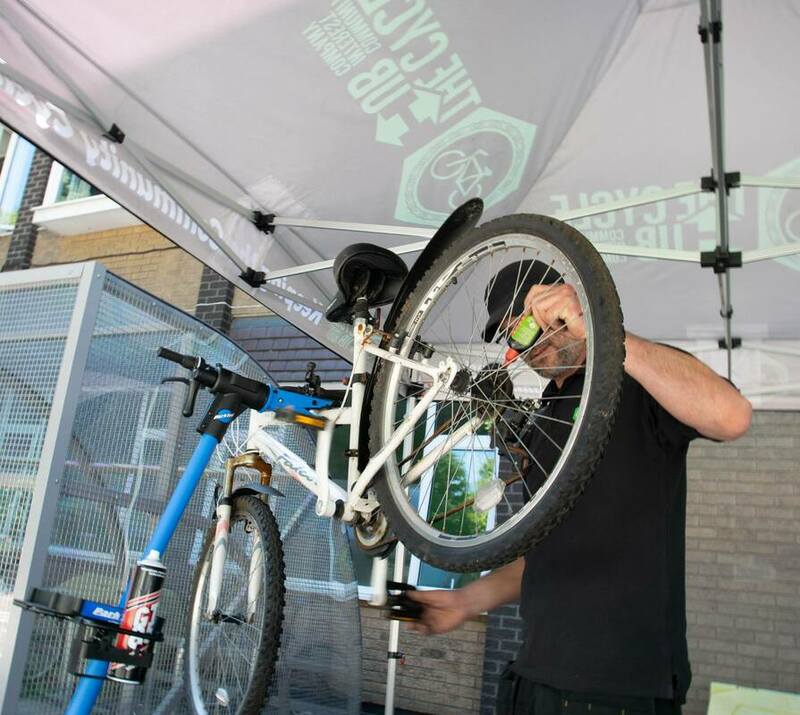 Dr Bike is a trained and experienced cycle mechanic who visits your place of work and services your employees' bikes. 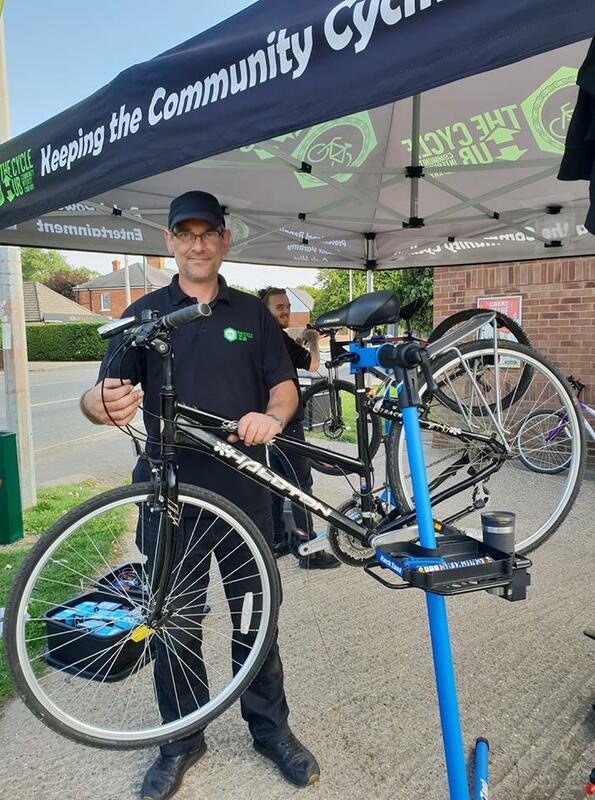 We bring along our own gazebo, a mobile workstand and a full set of bike tools and we fix anything that can be fixed outside of a workshop environment. Any more major problems that can't be fixed on site, we advise what needs doing and the approximate costs. Your employee will be offered a discount if they bring it to The Cycle Hub for subsequent repair. We also service fleets of bikes owned by the company. For very little outlay in terms of cost and time, you can generate a huge amount of goodwill from your staff. It's no secret that obesity and poor health through lack of exercise is on the rise. Encouraging your employees to cycle to work helps alleviate time off through illness. Cycling is well known to ease stress too so your staff are also more mentally fit and alert. Encouraging more cycling amongst your staff reduces the amount of motor vehicle traffic so it also benefits the environment through less pollution and safer roads. What does Dr Bike cost? Dr Bike rates start at just £110 for a one hour private event with one mechanic. You decide whether you want us to provide spare replacement parts which we can invoice separately (to a maximum value of your choice, if you wish) or you can have the all-in package with as many parts used as needed with rates starting at £125. ​Non-profits please enquire for special rates. Can Dr Bike be booked for other organisations or events? Yes, absolutely! Dr Bike can be booked for any event by any organisation - educational facilities, community groups, local authorities, any other group! How can I book Dr Bike? Contact Janine on 01472 354986 or email us at info@grimsbycyclehub.org.uk to discuss your requirements.